These medium to higher power true sinewave inverters, are ideal to power your TV/Audio equipment, tools, coffee maker, microwave oven, laser printer etc. Great overall performance, conservative output power specifications and robust build quality, ensure trouble free operation for many years. 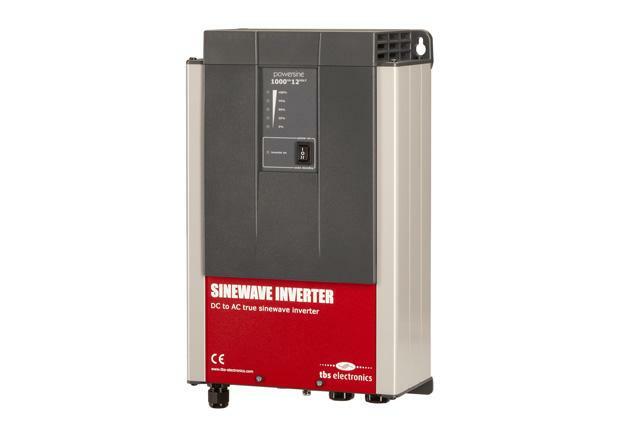 These inverters have an installer friendly connection compartment for all AC and control wiring. 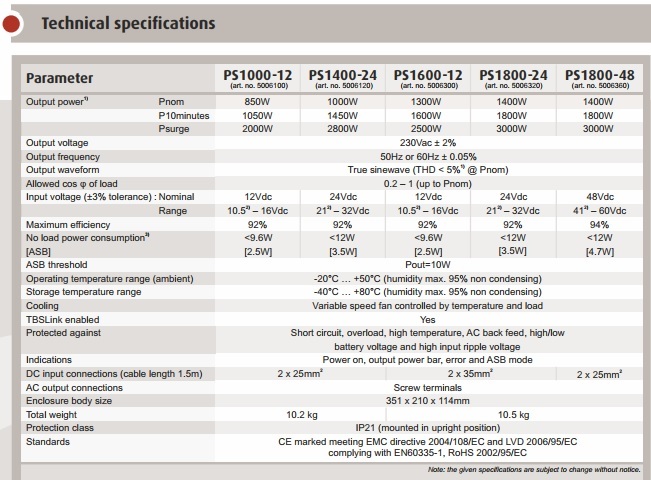 Furthermore, these Powersine inverters are equipped with a TBSLink port to connect to a TBS Remote Control or to a Windows device for readout through the TBS Dashboard software. An alarm relay output and simple remote switch connections are also available. All this is combined in a very compact, yet installer friendly unit.